The Rebel Sweetheart. 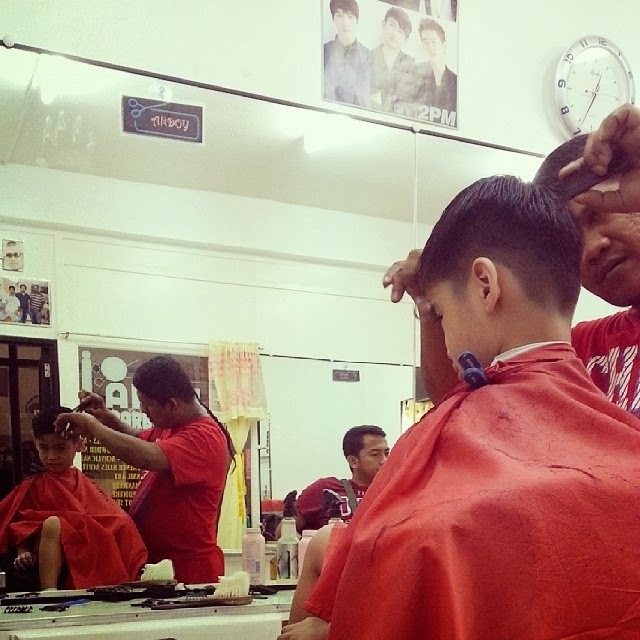 : Wordless Wednesday #68 | Tales from the Barber Shop. Wordless Wednesday #68 | Tales from the Barber Shop. Almost back to school time here so we will be booking in for haircuts this week. Was he not too sure about the haircut, or am I just misinterpreting his expression. He sure is a smart and adorable big little one !!! I love his expression- like he is making sure the barber doesn't slip up. And can I just say that he is a cutie pie?